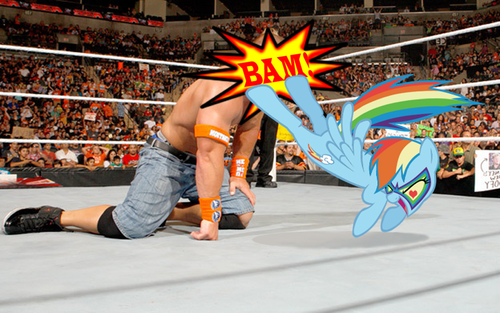 Cena got owned sejak pelangi, rainbow Dash. I'm going to get so many mixed komen-komen on this. 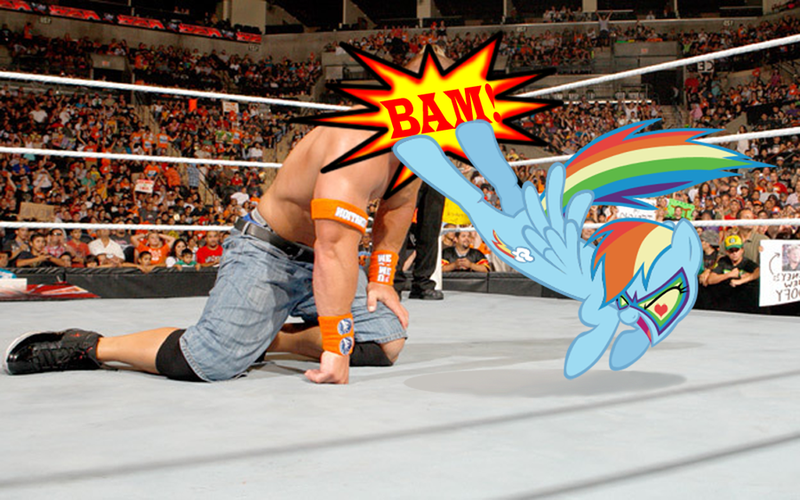 Yes, pelangi, rainbow Dash from My Little kuda, kuda kecil kicked John Cena in the head. Cena haters (like me) and Bronies (like me) will Cinta this. Cena lovers.....yeah. XD. HD Wallpaper and background images in the WWE club tagged: wwe john cena rainbow dash my little pony friendshi[ is magic.